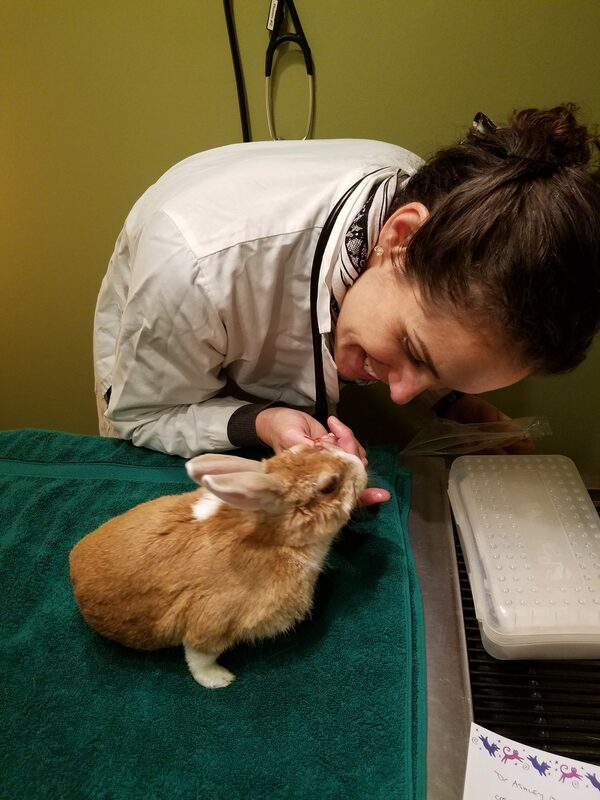 Dr. McCaughan has become a big part of our disabled bunny Fiona’s life, performing acupuncture and chiropractic treatments as well as traditional veterinary medicine. . . plus giving her cuddles and treats! We congratulate her on opening her own practice. I can’s say enough about how much a combination of chiropractic adjustments and acupuncture reduced the pain level for our elderly lab, under Dr. McCaughan’s care. 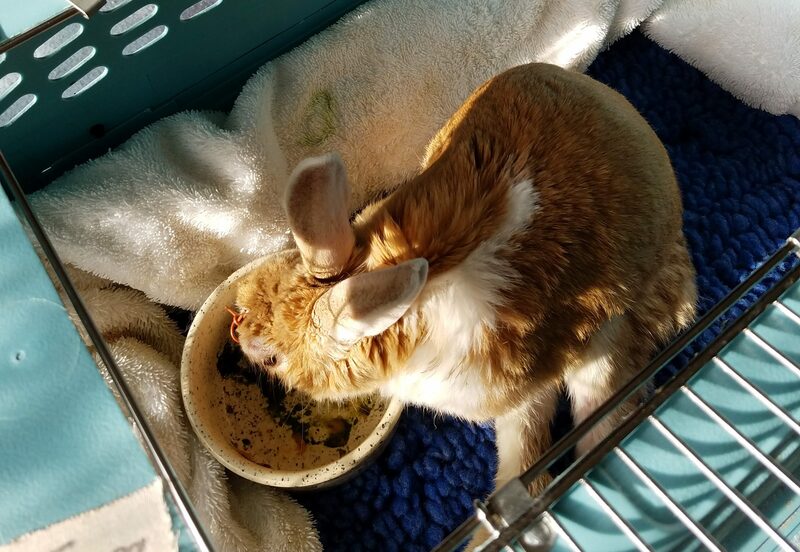 We happened to need a weekly regimen, and I could tell when Riley was ready for a tune up because her pain level and stiffness increased. These treatments will be a go-to approach for me in treating pain for my younger dog Kiera and later for when she is older. 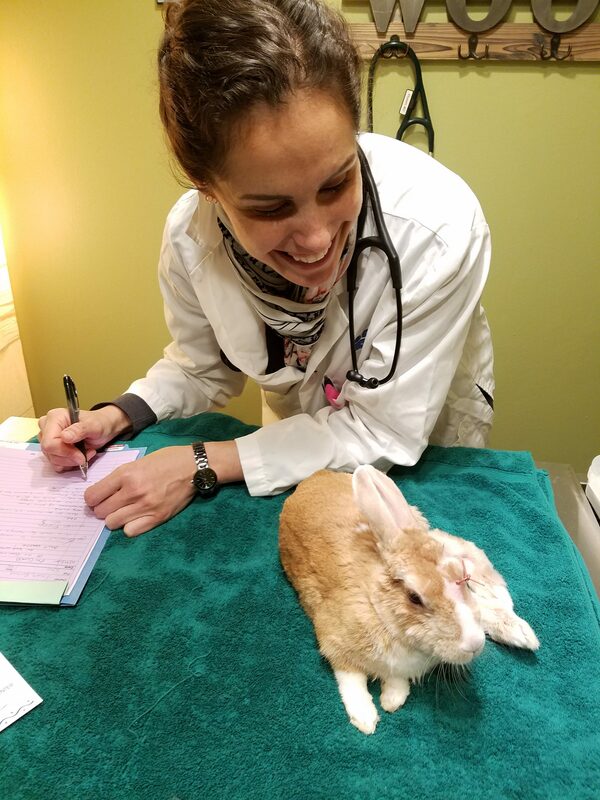 It worked like magic for us, and Dr. Ashley McCaughan is a very special vet.